So, you want to buy a new home. 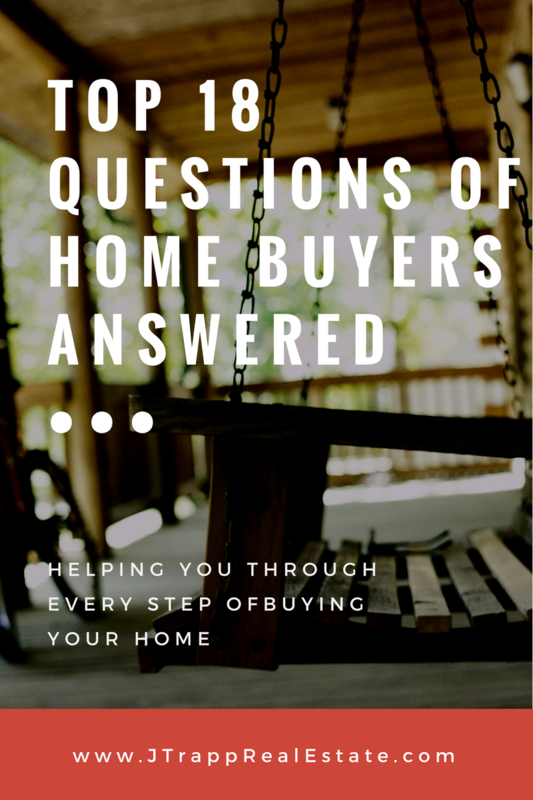 Here are the answers to many of the common questions home buyers have. I’ll cover how to get started and what the home buying process entails. I’m here to help you through what is possibly your biggest investment. Please feel free to contact me with questions or concerns. 1. Where do we start? The first thing to do is get pre-approved for a home loan. If you have a relationship with a bank or lender already, that’s the best place to start. If you need other local recommendations, let me know. I have a great list of lenders my buyers have found success using. Getting pre-approved tells you what price range you can be looking in. If it’s higher than you thought it would be, it’s probably good to stay in your comfort range, so you feel most comfortable. We don’t want you to be “house poor” and not be able to go out for dinner once in a while. 2. Who shows us homes? I do! It’s best to have one realtor show you homes and guide you through the home buying process. I can show you homes listed by other agents and companies, as well as For-Sale-By-Owner homes. 3. Do we pay you a commission? No, the seller typically pays the realtor commission(s) at closing. 4. What do we get from our agent? My services include representing you to the seller through their agent in any offer and negotiation process, throughout the lending process and to your purchase of the home at closing. I can help you with your home search, give you my professional opinion about the homes you see and help guide you through the whole process. 5. How do we make an offer? I can help you with that. Once you’re ready to move forward with an offer, we can talk about price, earnest money, home inspections, financing and other things. I am here to get you the answers you need in purchasing a home. 6. What is the home buying process? 7. What is Earnest Money? Earnest Money is a “deposit” (typically $1,000 or more for higher-priced homes), that you put “down” on the property, typically 5 days after your offer is accepted. That comes off the top of what you owe the lender at closing. 8. Do we need a home inspection? I recommend that you do a home inspection. Even if you don’t ask the sellers to make repairs, it’s a very good thing for you to have for the future. You can have any inspector that you want to hire, but they need to be licensed by the State of Wisconsin as a home inspector. I have a list of recommendations if you need it. The typical cost for a home inspection is $350 – $400. I can explain how asking the sellers to make repairs works. 9. What is radon and do we need a radon test? Radon is a cancer-causing gas that comes up out of the ground from the lowest part of the home. We do find some high readings in the area. Anything over a 4.0 is considered dangerous per EPA standards. If you want a radon test done, the typical cost is $150.00. The buyer does the test, but if the reading is high, the seller is usually asked to mitigate and return a safe reading after installation. 10. What are our closing costs? This is something you can talk to your lender about. I see closing costs range from $2,500 to $6,000, depending on the type of loan. Some buyers ask the sellers to give them a credit for half or all of the closing costs. If you decide to do that, you’ll need to list a dollar amount. 11. Do we get a home warranty? Many buyers ask for the sellers to provide them with a home warranty. That covers everything that is “running” in the house for the first year. So it will cover the cost (minus a deductible) of repairing or replacing all appliances, the furnace, water heater, AC, and water softener. They do not cover multiples of those things or pool/spa equipment, etc., but you as a buyer can add them for a cost. Most home warranties run $500 – $600. 12. Where do we get home owners insurance? You can use the same company that you use for your vehicle(s) and perhaps get a “bundle” price. Your lender will require that you have proof of insurance before closing. They will talk to you further about it. 13. What is a title search? The sellers hire a title company to run a history of the property to make sure there are no liens on the property. They now search the buyers, as well, so if anything comes up that needs to be cleared before closing, everyone has a chance to do so. Your lender will not allow closing to happen until any issues are cleared up. Once we get the title search back, I will go over it with you. 14. What is a walk-through? The walk-through is one last showing that you do before closing. I like to wait until the last minute so everything is out of the house. If there are any issues that you want to address with the sellers, we can do that then. 15. When do we call the utility companies? I will remind you to do that. I recommend that you wait until we have the date and time of closing set up. Even a day or two before closing is fine. 16. What do we bring to closing? You will need your driver’s licenses. Your lender may be required to send a wire transfer for your down payment, or you may be able to bring a cashier’s check. I will find that out and let you know. You will get to see the closing statement prior to closing, so there shouldn’t be any big surprises, just a lot of paperwork for your signatures. 17. How do we make house payments? Your lender will instruct you on this. Some lenders instruct you to set up monthly with drawls from a bank account and others will send you monthly bills or a coupon book. Your principle, interest, any private mortgage insurance and your prorated taxes will be included in your monthly payment. 18. When do we get to move into our new home? You will get the keys to your new home at closing and you can start moving in afterwards. You will not have access before then unless otherwise agreed to with the sellers.